Photos: Speaker, Yakubu Dogara visits PDP secretariat to drop his nomination form - SWANKYLOADED OFFICIAL BLOG. 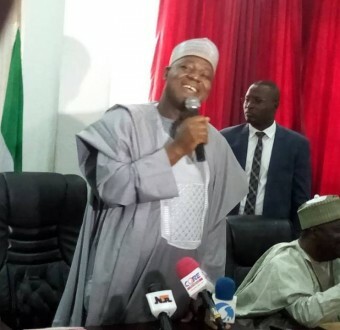 Speaker of the House of Representatives, Yakubu Dogara, this afternoon, visited the national headquarters of the Peoples Democratic Party to submit his nomination and expression of interest forms. He is seeking re-election into the House of Representatives in 2019. Dogara is yet to openly defect from the APC to PDP.